NCCS submitted a letter to the Centers for Medicare and Medicaid Services (CMS) on the proposed update to the hospital outpatient prospective payment system, known as OPPS, for calendar year 2019. In the letter, NCCS addresses the proposed change in payment for clinical services that are provided at off-campus provider-based departments. While the proposal will reduce cost-sharing for patients for clinic visits, NCCS recommends evaluation of the potential unintended consequences of the change. Additionally, CMS included a “request for information” in the proposed rule on the topic of price transparency. NCCS endorses the idea of price transparency, but also has concerns about how patients utilize this information given their individual cost-sharing associated with that care. Perhaps in some circumstances they will be motivated to alter their decisions based on the overall cost of care and concerns about the impact of those costs on the health care system, but that is not the primary source of action for cancer patients. Finally, NCCS commented in favor of reforming the drug acquisition program, called the Competitive Acquisition Program (CAP), which is a voluntary program that offers physicians an option to acquire Medicare Part B drugs from vendors who are elected in a competitive bidding process. NCCS suggests the CAP should be accompanied by improvements to the way cancer care professionals are paid for the services they provide. NCCS outlines several considerations for CMS to avoid mistakes made in the previous CAP implementation. Read the full NCCS letter below. The National Coalition for Cancer Survivorship (NCCS) is a national organization engaged in public policy efforts to ensure access to quality care for survivors of all forms of cancer. We have pursued reforms of Medicare payment for cancer care as a means to enhance the overall quality of the system. We appreciate the opportunity to comment on the proposed update to the hospital outpatient prospective payment system for calendar year 2019. In the last decade, changes in ownership of oncology practices have resulted in more cancer care services being provided in off-campus provider-based departments (PBD) that are paid under the outpatient prospective payment system (OPPS). This has resulted in increased cost-sharing for cancer patients, due to the higher rates of payment under OPPS, compared to payments under the physician fee schedule. This is a serious concern for cancer patients, many of whom face financial toxicity because of their cancer treatment. Some cancer experts contend that the consolidation of oncology practices and the increased ownership by hospital systems has resulted in improvements in the availability and quality of supportive care services for patients in those off-campus provider-based departments. Others suggest that there are not significant differences in the care delivered in oncology practices that are independent and care in those practices those operating as off-campus sites of hospitals. The proposal to apply a physician fee schedule (PFS)-equivalent rate of payment for clinical services that are provided at an off-campus provider-based department (PBD) that is paid under the outpatient prospective payment system will provide relief to cancer patients through the reduction of their cost-sharing for clinic visits. The agency projects that the application of PFS-equivalent rate for PBD services will reduce the payment for clinic services from approximately $116 to approximately $46, with a corresponding reduction in the average beneficiary cost-sharing from $23 TO $9. Although the reduction in beneficiary cost-sharing responsibility is a positive, we recommend that changes in the payment for clinic services provided in PBDs be undertaken only after evaluation of the possible unintended consequences of this reimbursement change. Just as there were unintended consequences from the consolidation of oncology practice ownership through hospital acquisition, so there may be consequences from payment for PBD services at the PFS rate. CMS has included in the proposed rule a “request for information” on the topic of price transparency. NCCS endorses the fundamental concept of health care cost transparency. However, we have basic questions about what information about health care costs is important to and actionable by patients as well as questions about how to achieve transparency in the system. Even if comprehensive information about all elements of care could be provided to cancer patients, we are not persuaded that such information would be useful to them unless it was accompanied by accurate and timely information about their insurance policies and how those policies will cover and pay for the care they need. They need clarity that their insurance will cover they care that they need and that they can manage the cost-sharing associated with that care. Patients are more likely to act based on how health care costs will affect them, which means what their cost-sharing responsibilities will be. Perhaps in some circumstances they will be motivated to alter their decisions based on the overall cost of care and concerns about the impact of those costs on the health care system, but that is not the primary source of action for cancer patients. In recent months, much attention has been directed to “surprise” emergency department charges and also surprise out-of-network provider charges. Some have suggested that these matters can be addressed at least in part by transparency about emergency department charges and also out-of-network charges. Although we support transparency regarding these charges, we do not believe that transparency will fully address the financial exposure of consumers. Instead, consumers must have protection related to third-party coverage of emergency department charges and solid information about how their payers will cover out-of-network services. The experience related to communication of cost of care in the Oncology Care Model also underscores the difficulties in achieving transparency in cost of care. The initial objection in the Oncology Care Model was for participating practices to communicate the total cost of care to patients. Upon receiving feedback from OCM participating practices regarding the difficulty of obtaining and communicating the data related to total cost of care, the requirement was modified to relate to patient cost of care. The feedback from OCM practices is that the responsibility for communicating patient cost of care is a significant burden. Expanding that responsibility to require communication regarding overall cost of care is not advisable. If a goal of transparency is to inform policymakers and patient advocates and to motivate their action related to health care pricing, the agency must give considerable thought to how to provide comprehensive and accurate pricing data as well as how to publish and publicize those data to a broad audience. Efforts related to pricing information to date have not achieved the goals of accuracy and comprehensiveness. Even if CMS can set standards and encourage compliance with requirements for pricing disclosure, the impact of that effort is still not clear. If the collection and dissemination of pricing information is to have an impact beyond generally improving public awareness of health care costs, the agency must determine if it wishes to encourage use of the data by public and private payers and consumers and how it can encourage that use. While these serious questions are evaluated and addressed, we encourage immediate action to inform patients about their out-of-pocket responsibilities, which may require the imposition of information-sharing responsibilities on third-party payers. For some time, NCCS has advocated an end to the buy-and-bill system for acquisition of physician-administered drugs under Medicare Part B. We favor a reform of the drug acquisition system, to be accompanied by improvements in the payment for services provided by cancer care professionals. We understand the concerns that the buy-and-bill system, which incorporates a reimbursement formula of ASP+6 percent, may incentivize the use of more expensive drugs. We believe that the evidence on that issue is mixed and that is not the primary motivation for our support of reform. However, by reforming the Part B drug acquisition system, that issue will be addressed. In addition, the concerns among some oncology practices regarding the costs of acquiring and storing drugs will be addressed by buy-and-bill reforms. Changing the drug reimbursement system also creates the opportunity to improve overall the manner in which cancer care professionals are reimbursed for their services. CAP should not block or slow patient access to drugs. In the previous test of CAP, the vendor would delay shipment of drug if there were questions about payment of patient cost-sharing. Sophisticated billing software is available, and we expect that vendors can utilize such software to manage patient billing and to protect against delays in drug shipments that harm patients. CAP should not be utilized to implement a restrictive formulary in the Medicare Part B program. We have expressed our opposition to the plan to permit Medicare Advantage plans to use step therapy strategies beginning in 2019, and we would also oppose utilizing CAP as a means to limit patient access to cancer therapies in Part B. The request for information lists a number of different pricing and reimbursement systems that might be tested through CAP. We are concerned that the agency is attempting to test too many concepts through CAP. There are important problems that arose in the initial CAP program that must be addressed, including ensuring timely shipments, addressing issues related to beneficiary cost-sharing, and guaranteeing robust provider participation to support a solid evaluation of the program. We think that the request for information may be overly ambitious in identifying a wide range of pricing and reimbursement systems for testing while fundamental questions about the workability of the distribution system are addressed. Also, as noted above, we do not support the implementation of CAP as a means of imposing a restrictive formulary in Part B. As we argued in connection with the step therapy proposal, such a plan is at odds with the needs of cancer patients in an age when therapies are increasingly personalized. The Part B drug payment system is generally recognized as a system that subsidizes the cost of physician services in providing cancer care. If the CAP system serves as a major overhaul of the drug distribution system, it should be accompanied by reforms in payment for physician services. We understand that the OCM is a major test of episodes in cancer care that is still underway. 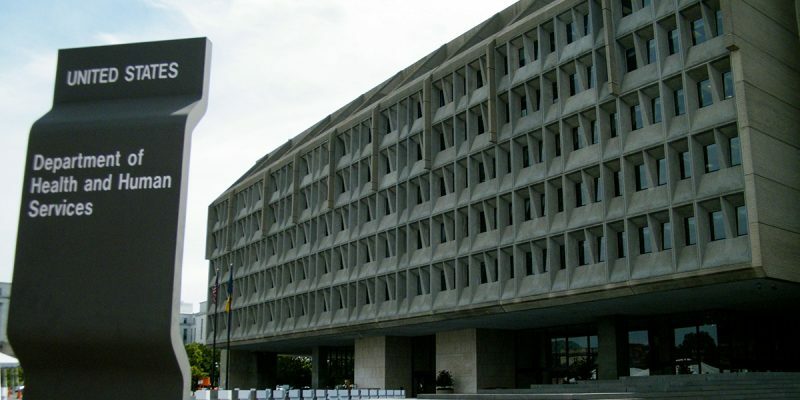 However, if CMS intends to move forward with CAP, it is necessary to address those services still reimbursed outside the OCM on a fee-for-service basis. We appreciate the opportunity to comment on proposed reimbursement changes for 2019 and RFIs that suggest additional, major changes in Medicare reimbursement in the near future. We look forward to ongoing discussion with CMS on the topics of the RFIs.